The June Emerson Wind Music Young Artists scheme was set up in 2016 to support exceptional young musicians. 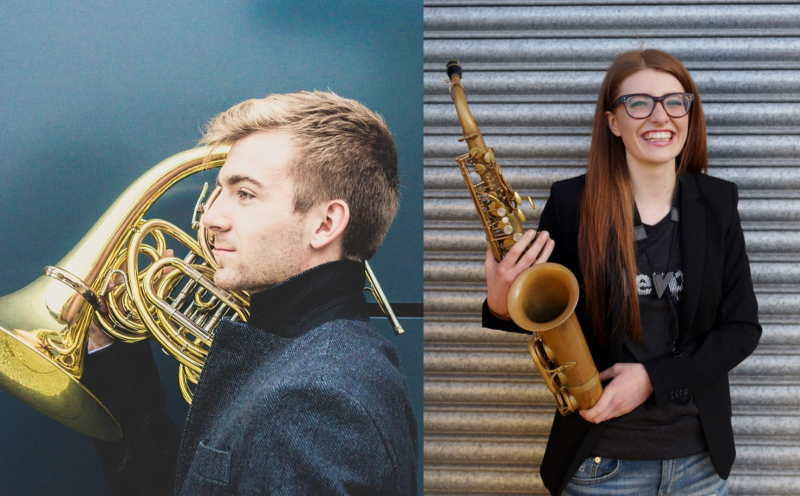 We are absolutely delighted to support horn player Ben Goldscheider and saxophonist Jess Gillam - two supremely talented young musicians, both of whom are at the beginning of stellar careers as performers. Both Young Artists were hand-picked for their talent, personality, attitude to music and to life, and for being great friends of June Emerson Wind Music. You will find news updates, performance details, reviews, photos, videos etc on the Young Artists Facebook Page.